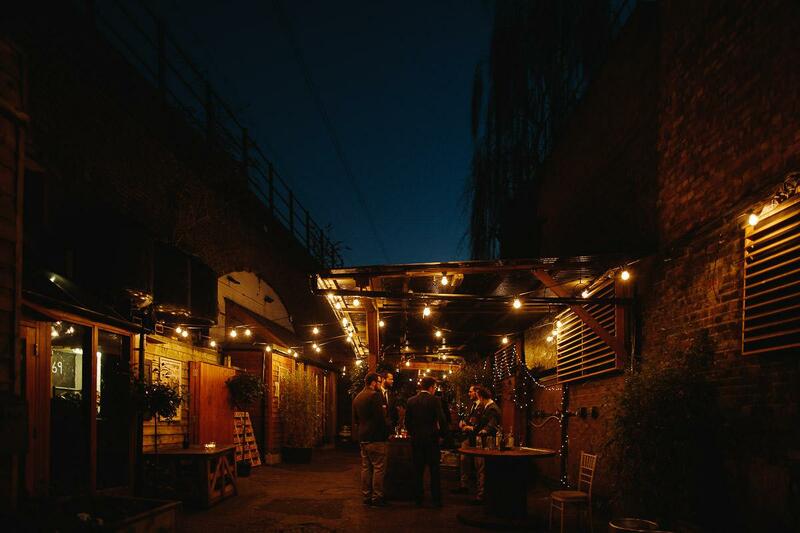 London Fields Arches is East London's most exciting event space - a hidden gem situated 2 minutes walk from London Fields Overground Station. 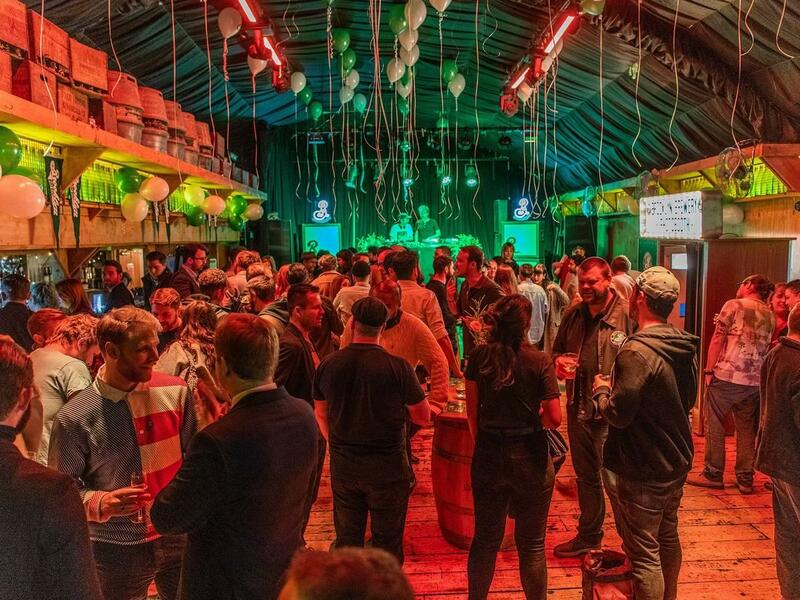 Nestled beneath two railway arches, the venue boasts a sun soaked courtyard - perfect for welcome receptions and BBQ's and also includes kitchen, sound systems, AV and fully stocked bars including our very own LFB craft beers! Each arch has a capacity of 250 standing guests (a total of 500) and you may book just one arch or both arches depending on the size of your event. Our designated events team can assist with all your needs, offering recommendations from catering to entertainment. We offer a bespoke event coordination service so please get in touch and let's get planning! Light Arch is the perfect setting for all types of celebrations – from birthdays to weddings, anniversaries to office parties. With handmade craft beer on tap, a top end Martin Audio sound system, lively event staff and a delicious customisable menu. The venue itself is a DIY dream incorporating tables fashioned from kegs, candlestick holders, delicate lights, drooping drapes that compliment the venue’s ambience with a warm cosiness. With handmade craft beer on tap, a top end Martin Audio sound system, lively event staff and a delicious customisable menu. What more could you ask for? The venue itself is a DIY dream incorporating tables fashioned from kegs, candlestick holders re purposed from beer bottles, delicate lights, drooping drapes that compliment the venue’s ambience with a warm cosiness. The room is equipped with powerful sound systems to provide the best possible sound quality. Our charming courtyard is perfect for welcome receptions and BBQ's and connects the two arches. 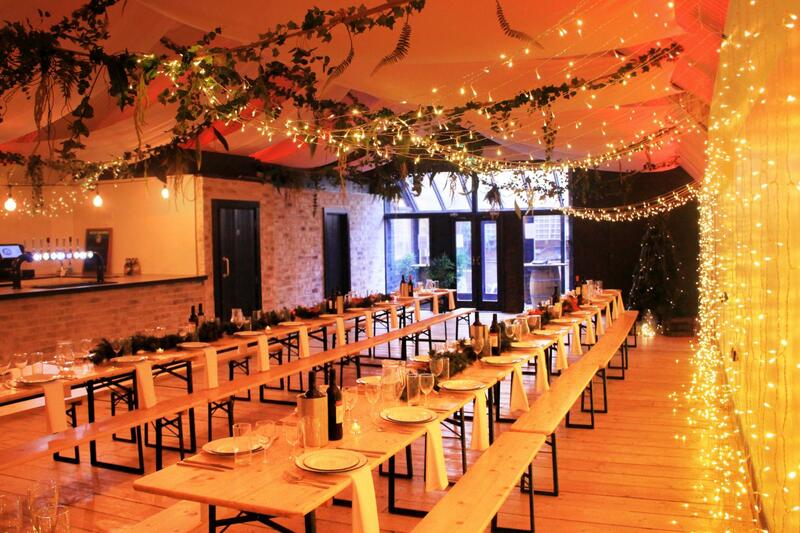 This space cannot be booked individually but is included when booking either of our stunning arches. Our charming arches are ideal for weddings and we have everything you need for a perfect day. Begin with welcome drinks in our sunny courtyard, before moving into The Light Arch for dining. We have a built in kitchen, tables, benches and tableware and can even assist in organising catering for you! We can provide microphones and sound system for speeches and then guests are ushered into The Dark Arch for the evening's dancing. With a gig standard sound system and DJ equipment the scene is set for a wonderful night. Friendly, cosy and private. Good transport links. Everyone had a great time and commented on how lovely the venue was. None! Everyone had a fab time!